“New Year, new me,” is a common phrase around this time of year. As everyone enters another chapter in their life, they do away with the old and make room for something positive and uplifting. Whatever your New Year resolutions are, changing up your home décor should be one of them. Residents in the apartments in Englewood CO are doing just that, and there’s a good reason behind it. Changing the look of your home is an excellent way to create the mindset needed to reach those resolution goals. It can give you a new lease on life, inspire creativity, and acts as a first step towards making your goals actionable. Simply repainting or redecorating is all it takes to get the ball rolling. If you’re ready for a little change, then check out these designs ready to retire and what you can do to replace them. The farmhouse design style is an excellent one, and there’s no reason to change your home’s natural look. Those cookie-cutter, kitschy, store-bought decorations designed to make your home look more farm-like are another story, though. These decorations are so overplayed that they’ve simply become inauthentic and drab. Reclaimed wood accents and out-of-place barn doors fall into the same category. There are real farm houses that these kind of decorations look stunning in, but a modern or minimalist apartment simply isn’t one of them. As for those “farmhouse” signs, they never really belonged anywhere in the first place. Keeping a few of these pieces as light accents is still a trend heading into 2019, but keep it minimal. These types of decorations tend to accumulate rapidly, quickly becoming the center of attention in any room. If that’s the case, it’s time to retire the trend. Cut-out wooden letters, text-heavy print, and anything else stuck onto a piece of wood as decoration tends to do the same thing as farmhouse décor. All of a sudden, there are more pieces than you can count and they’re overtaking your rooms. What really makes these decorations lackluster is the fact that they attempt to appeal to every guest you bring into your home. 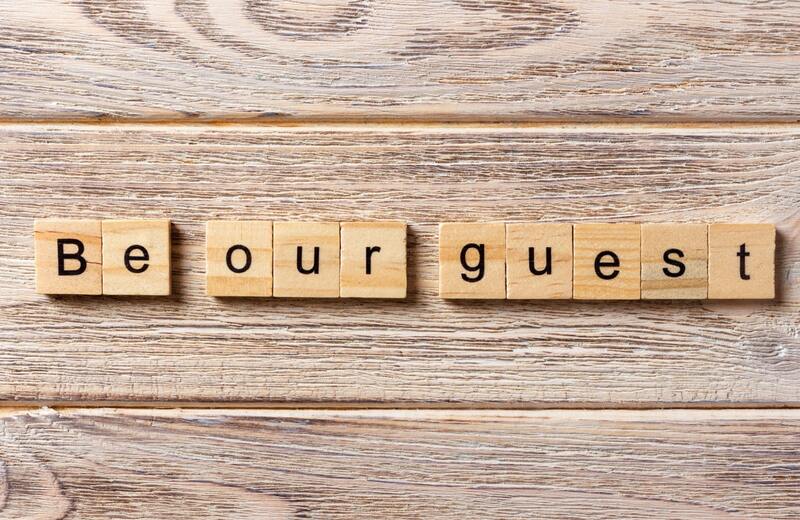 Phrases like “Be Our Guest” or “Family and Friends Gather Here” are as impersonal as they come. Ditch the generic sayings and decorate your walls with something that shows off your individual style. Pick pieces that speak to you on a personal level. Your guests would rather see something unique in your home instead of a giant wooden letter that represents your name. Hopefully the only fur in your home is fake at this point in history. While faux is better for the environment, it doesn’t belong where most people place it. An area rug in a high-traffic location like the living room, for instance, is overkill and ultimately dirty. The same goes for throw pillows. You don’t need to get rid of all your faux fur, though. It makes an excellent addition to your bed in the form of throw blankets. Even keeping one on the couch is a great idea in colder months. It is a comfortable material, and the allure is obvious, but keep it where it belongs please. Adding a pop of color by painting a single wall with something vibrant has been popular for decades now. Yes, it’s been that long and it’s about time to change things up. The same goes for a single wallpapered wall. There are numerous ways to make a room more vibrant, and the 2019 trend is to add rich jewel tone colors mixed with fun patterns. If that isn’t your cup of tea, then why not paint the other three walls that bold color as well? If something is still missing, hang a work of art or add texture to a wall using floor-to-ceiling millwork. Any of these options are better than the same-old-same-old. Boho-chic came back with a vengeance over the past few years, but most people fail to incorporate a complete boho design. Instead, woven plant holders and wall pieces hang in an otherwise traditional or modern space. The combination is, well, odd and incredibly unstylish. If this is your faux pas, you have to options. Either remove these items and unearth the true design elements of your home or embrace the boho-casual lifestyle altogether. Both are excellent choices, but you need to fully commit to one or the other if you want your rooms in harmony with one another. These virtually maintenance-free plants reached new heights of popularity in 2018, but people make one fatal mistake when placing them in their homes. Instead of incorporating other lively, beautiful plants into their interior spaces, they simply rely on the succulent to do all the work. There’s no reason to get rid of your succulents, they make excellent plants, but if they’re all you own then it’s high time to add a little more to your collection. You can choose from dozens of low-maintenance plants if you’re green thumb isn’t the strongest. Try the snake plant, Boston fern, or spider plant. All three require the bare minimum in care and work wonders at cleaning the air in your home. New is the theme each and every January, but changing your home décor now can help you make the changes in your life by decluttering, reinvigorating, and inspiring. It’s the act of giving your home a new kind of style, much like The Palmer. These apartment homes are a complete shift in suburban apartment design that deftly maintains the tension between art and tech, luxury and rustic. A combination of new aesthetic statements and old stylistic comforts, this seamless blend of contradictions allows you living space to stay true to your life. Spacious floor plans feature the finest in modern finishes ranging from quartz countertops to kitchen backsplash and wood plank-style flooring. The community offers amenities that cater to every facet of life. A resort style swimming pool complete with spa, 24-hour fitness and yoga center, and onsite golf simulator are just the tip of the iceberg. Experience something unique, a combination of mountain modern and timeless appeal wrapped in the comforts of luxurious living. The Palmer is more than just a home, it brings living to your life. Welcome to a new sense of elevated living.